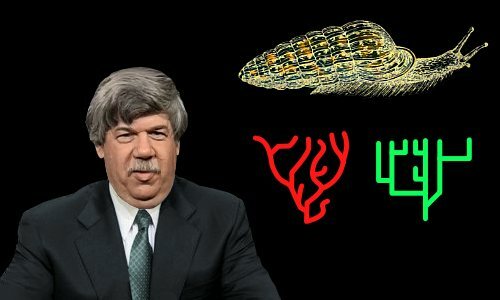 Stephen Jay Gould is best known for the theory of punctuated equilibrium, which proposes that evolution of species is not a slow, gradual process of change, but in fact consists of long periods of stability broken by shorter periods of rapid change. Gould was an award-winning book author of extraordinary fecundity. In addition to authoring hundreds of academic papers for journals, he also found time to write hundreds of articulate, engaging, intelligent, and informative essays. With an enviable width and depth of knowledge, he conveyed science to his readers spiced with fascinating references to personal experiences, history, music, literature, architecture, and other diverse themes including his beloved baseball. For the last two decades of his life, he was one of the world’s most famous and sought after scientists. Stephen Jay Gould was born on September 10, 1941 in New York City, USA, three months before America entered World War 2. His father, Leonard Gould, was a court stenographer. His mother, Eleanor Rosenberg, was an artist. Both were Jewish by ancestry, second generation immigrants who had elevated themselves into the lower echelons of America’s middle class. Leonard was a Marxist, so the family did not practice their religion. Decades earlier, Stephen’s grandparents had arrived by ship from Eastern Europe to toil in New York’s garment sweatshops. Stephen’s parents owned an English translation of Adolf Hitler’s notorious book Mein Kampf. As a child, Stephen would eye this red book on his parents’ bookshelves warily, and sometimes, for the thrill of it, take it down and handle it – it felt as if he were touching Evil. In 1946, Stephen Jay Gould saw the bones of a fossil T-rex towering above him. More recent research suggests T-rex held its head and body closer to the ground. His father was drafted into the Navy, so Stephen did not see much of him in his early years. By 1946, with the war over, Stephen’s father returned. Although he had never been to college, he had educated himself thoroughly by reading widely. Eager to develop a love of learning in Stephen, he took his son to New York’s American Museum of Natural History, one of the world’s largest museums. There, in the Hall of Dinosaurs, looking at a fossilized skeleton of the fearsome Tyrannosaurus rex, Stephen experienced an epiphany. Only five years old and quaking in terror at the sight of the enormous skeleton towering above him, he decided to devote his life to the study of creatures of the past. Stephen was educated in Queens, New York’s public schools. He made no secret of his devotion to natural history and his classmates gave him the cruel nickname “fossil face.” He loathed it, but endured it. Age 11, Stephen read Charles Darwin’s Origin of Species. Darwin became his hero. His second hero, almost as important as Darwin, was baseball legend Joe DiMaggio. Stephen collected baseball cards and was crazy about every facet of the sport. In fact, as we’ll see, his enthusiasm for baseball possibly cost him a place at Harvard. His third hero, probably ranking above the others, was his father. In addition to dinosaurs and baseball, Stephen was a fan of Gilbert & Sullivan comic operas and Alfred Hitchcock thrillers. He attended Jamaica High School. Although the quality of education there was high, Stephen, who was one of Darwin’s biggest fans, was disappointed to find evolution was hardly mentioned in biology classes. He graduated, age 16, in 1958. Stephen had hoped to study biology at Harvard, but in Triumph And Tragedy In Mudville he related a classroom incident that cost him grade points and, perhaps, his place at Harvard. In his French class a classmate seated in front of him was secretly listening to a World Series baseball game on a radio. When his classmate told him some good news, Stephen whooped ecstatically and threw his jacket in the air. His French teacher was outraged and deducted 10 points from his final grade. So Stephen Jay Gould did not go to Harvard. In 1959, age 18, he packed his bags and headed west to Antioch College, a liberal arts college in Ohio. The college was a bastion of social activism and left-of-center politics, which Gould reveled in. In 1963, age 21, he graduated with a B.A. in Geology, having devoted as much time to radicalism as studying. He returned to New York and joined Professor Norman Newell’s geology research group at Columbia University. By a pleasant coincidence Newell was a curator at the American Museum of Natural History, where Gould’s journey into fossils had begun at his father’s side 16 years earlier. In 1967, Gould got his doctorate in Paleontology. His thesis dealt with the fossil history of land snails on the island of Bermuda. The well-preserved snail shells allowed him to read the snails’ evolution story. Gould loved his fossil snails and continued researching them and publishing papers about them for much of his career. Although he failed to get into Harvard as a student, Gould joined Harvard’s faculty in 1967. He remained there until the end of his life, becoming a full professor at age 32 in 1973. Gould and his Harvard colleague Niles Eldredge made a big splash in 1972 with punctuated equilibrium – known in the trade as ‘punk eek’ – an enhancement, they believed, of standard evolutionary theory. Gould named the theory while crediting Eldredge with the initial idea. The theory of punctuated equilibrium proposed that evolution of living species is not a slow, gradual process of change. Instead, it consists of long periods of stability broken by shorter periods of rapid change. While maintaining faith with Darwin and Wallace’s theory that evolution is driven by natural selection, Eldredge and Gould raised questions about the rates and time-scales of evolutionary change. They pointed out that the fossil record shows little evidence of gradual change within species. In fact, and this was the most important part of their theory, they said the fossil record shows that for long periods of time individual species do not evolve in any particular direction at all. They called these periods stasis. Periods of statis are punctuated by short periods of rapid species evolution by natural selection. The validity of punctuated equilibrium in evolution is largely accepted by paleontologists. It is still viewed with some skepticism by evolutionary biologists, such as Richard Dawkins. In 1989, Gould’s book Wonderful Life considered the remarkable fossils of the Burgess Shale, enticingly documenting and interpreting two decades of research by Harry Whittington, Simon Conway Morris, and Derek Briggs. The Burgess Shale is a remarkable deposit in the Canadian Rockies containing unique fossils of strange soft-bodied animals that existed during the Cambrian Explosion about 500 million years ago. It was at this time that most major animal phyla appeared on Earth. The majority of them died out. The survivors and their descendants populated our planet. What might happen, Gould asked, if circumstances led to a replay of the Cambrian Explosion. 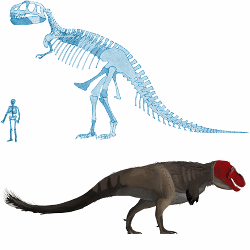 Would we get similar species, or would random chance result in the extinction of some that actually survived and the survival of some that actually became extinct? Gould asserted that evolution can be something of a lottery. He argued that if we could rerun the Cambrian Explosion, there’s a high likelihood that different creatures would be the survivors and life on Earth would look wholly different to what we see now. Opponents, however, argued that evolution is convergent, meaning that nature produces similar solutions to the same problems, and therefore if the Cambrian Explosion were replayed, the results would look similar to what we seen now. Eugenics, which aims to manage the genetic structure of the human population. Gould devoted his award-winning book The Mismeasure of Man to challenging and discrediting these concepts, believing them to be both morally and scientifically wrong. Gould highlighted the case of Samuel George Morton. Gould believed Morton allowed racial bias to influence measurements of skull sizes he made on different groups of humans in the first half of the 1800s. Morton claimed that skull size was related to brain size which was related to intelligence. He found his own ethnic group had the biggest skulls of all. Gould analyzed Morton’s results and found Morton’s measurements were biased in the direction that supported his claim. Morton, naturally enough, carried all of the cultural baggage of his time, ethnicity, and class. But so, it seems, did Gould. And in a paradoxical way, Gould had proved his own point. Scientists are human beings, and when analyzing evidence they always have to be on guard against the effects of their own personal predilections. In 1982, Gould testified in the McLean v. Arkansas creationism trial. A new state law had demanded Arkansas’ public schools give balanced treatment to creationism and evolution. Its opponents argued the law was unconstitutional, as it brought religion into the classroom. In January 1974, Gould wrote an essay for Natural History. It was the beginning of a phenomenon. Over the next quarter-century, he would write one 10,000-word essay every month, ending with a tally of 300 in the year 2000. His writing was an exhilarating blend of clarity, erudition, wit, and analogy. Gould refused to dumb down science, yet his popular work was refreshingly free of gobbledygook. He served an intelligent public that was hungry for scientific answers to big questions such as how life had come to populate our planet. A man of irrepressible energy, he authored 22 books, wrote over 100 major book reviews, and frequently appeared on radio and TV – he even voiced his own cartoon character in an episode of The Simpsons. Soon after appearing in the Arkansas creationism court case, he popped up on the cover of Newsweek along with a fearsome looking T-rex and the headline Mysteries of Evolution. While pursuing a time-consuming career as an author and celebrity scientist, Gould also continued his main career as a Harvard academic, writing almost 500 papers for journals, and teaching fabulously popular courses in Biology, Paleontology, and History of Science. Celebrity also brought wealth. His sizable fees for public speaking combined with his salary and book sales earned him a seven-figure annual income. Gould slept each night between 2:00 am and 6:30 am. When he wasn’t traveling, he spent evenings with his children. Time was always at a premium, and Gould deeply resented anyone who wasted his own precious supply of it. He could be short-tempered; he could behave arrogantly; and he earned a reputation for not suffering fools gladly. He began to attract hate mail, which he read to students as pre-seminar entertainments. By ancestry Gould was Jewish. Although not religious, he was not an atheist – he argued this would mean he was certain God did not exist, and he had no evidence of this. He described himself as an agnostic or a secular Jew. Deborah Lee, an artist, became Gould’s wife in 1965. They met at Antioch College. They had two sons – Jesse and Ethan. After 30 years of marriage the couple divorced in 1995. In the same year, age 54, Gould married Rhonda Roland Shearer, a sculptor. In adult life, Gould continued with his childhood enthusiasms – dinosaurs, the New York Yankees, and Gilbert & Sullivan. He sang in the Boston Cecilia Society and collected rare books. He loved books, surrounding himself with towering shelves of them at home and in his office. Gould was diagnosed with peritoneal mesothelioma in July 1982, when he was 41. Despair followed when he learned that the median survival time of people with this cancer was just eight months. However, he became more optimistic when he discovered that, although half of the cancer’s victims died within a few months, in the more fortunate half of cases some survived for a long time. Through his illness, he continued teaching at Harvard and writing his monthly Natural History essay. With experimental chemotherapy, surgery, and radiation therapy, Gould actually recovered from the cancer. He wrote about his illness and recovery, becoming an inspirational figure for other sufferers. While undergoing treatment he suffered extreme nausea and frequent vomiting. His weight dropped to just 90 pounds (43 kg) and his emaciated appearance shocked his friends. He smoked marijuana, which he found lessened the nausea and vomiting. Two decades later a new cancer struck – lung cancer. This time, sadly, there would be no happy ending. Stephen Jay Gould died age 60 of lung cancer on May 20, 2002 in Manhattan, New York. "Stephen Jay Gould." Famous Scientists. famousscientists.org. 16 May. 2017. Web. Image of Steve Jones by Michal Maňas under the Creative Commons Attribution 3.0 Unported license.